David Steven Cohen holds a B.A. in History from Rutgers University, an M.A. in American History from Claremont Graduate School, and an M.A. and Ph.D. in American Civilization from the University of Pennsylvania. He taught History and American Studies at Rutgers University in Newark for nine years, prior to coming to the New Jersey Historical Commission, where he is a Senior Research Associate and Director of the Ethnic History Program. 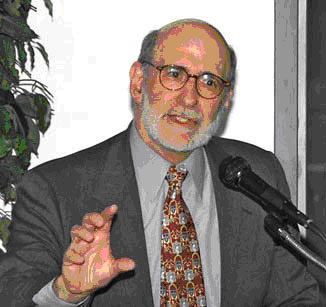 Dr. Cohen is the author of six books, including Folk Legacies Revisited (1995) The Dutch-American Farm (l992), America, The Dream of My Life: Selections from the Federal Writers' Project's New Jersey Ethnic Survey (l990), Pinelands Folklife (l987), The Folklore and Folklife of New Jersey (l983), and The Ramapo Mountain People (l974). He also has curated museum exhibitions, including "New Jersey Pinelands: Tradition and Environment," at the New Jersey State Museum in 1987, and produced radio and television documentaries. Among his television credits are a series of programs about New Jersey folklife, including In the Barnegat Bay Tradition (1983), Schooners on the Bay (1984), and Pineland Sketches (1987), and two television history series: New Jersey Legacy, narrated by Celeste Holm and John T. Cunningham (for high-school students and a general audience) and Around and About New Jersey (for elementary-school students). He has won two Emmy Awards, one in l984 for In the Barnegat Bay Tradition and the other in l992 for Around and About New Jersey. A three part documentary series narrated by Eli Wallach exploring the immigrant experience. Produced and written by Marty Goldensohn, Directed by Charles Potter. Executive Producer: David Cohen. Based on America, the Dream of My Life: Selections from the Federal Writers' Project's New Jersey Ethnic Survey (1990) by David S. Cohen (Editor). Documents a little-known chapter of the homefront during World War II, and chronicles four generations of a powerful New Jersey family led by a patriarch, C.F. Seabrook, who was known as "The Henry Ford of Agriculture." During World War II, Seabrook Farms supplied the military with fresh, frozen and deyhdrated food. Plagued by a chronic labor shortage, Seabrook Farms in southern New Jersey recruited agricultural and cannery workers including German prisoners of war; West Indian contract laborers, Japanese Americans, and Japanese Peruvians from wartime detention camps in America. The documentary is narrated by Kurt Vonnegut, Jr.; it was written and produced by Marty Goldensohn and David Steven Cohen. A co-production of WWFM, Trenton and the NJ Historical Commission. [1 hr. special, divided into two 1/2 hour segments for convenient listening on the WWW]. A copy of this production is available from the New Jersey Historical Commission. Contact them at: New Jersey Historical Commission, PO Box 305, Trenton, NJ 08625-0305. Produced in 1997, this documentary takes us into the East Indian community in in New Jersey, third in population after California and New York. Through wide-ranging interviews with diverse members of the community, we learn of the great diversity within this community. "Coming From India" was written and produced by Marty Goldensohn and David Steven Cohen for the New Jersey Historical Commission and New Jersey Network Radio. "The Life and Times of Frank Hague" is a look at 30 years of local and political history in Jersey City, New Jersey, from 1917 to 1947, seen through the career of its mayor. Viewed by some as a hero and by others as a scoundrel and "a dictator American style," Frank Hague was a rough and tumble politicians, of a time before media-packaged candidates. The documentary features historian Tom Fleming, whose father was a ward leader under Hague. This project was written and produced by Marty Goldensohn and David Steven Cohen, with narration by Malachy McCourt. 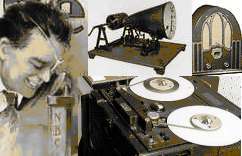 It is a co-production of NJN Radio and the New Jersey Historical Commission, Department of State. Frank Hague's story is told in six parts: Part I ~ The Organization; Part II ~ The Reformer; Part III ~ Inner Workings of the Organization; Part IV ~ The Power Broker - The Depression Era; Part V ~ Hague vs. the CIO; Part VI ~ Out of Touch, Out of Power. Part 1: Real Media. MP3. Time: 29:36. Part 2: Real Media. MP3. Time: 24:22. In 1926, 16 thousand woolworkers in Passaic, New Jersey, walked out after their meager wages were cut 10%. It was a long strike - nearly a year - and it caught the attention of intellectuals and activists nationwide. Over the harsh winter of 1926, Passaic became a battleground, not just between workers and bosses, but between the traditional trade unions and a renegade organizer in the American Communist Party, who envisioned a militant, industrial union for all workers. The program has ten parts, but was broadcast in two long segemnts -- Part I: The Battleground; Part II: Vera and Albert; Part III: Strike! Strike! ; Part IV: The Strike Bulletin; Part V: Workers' Relief; Part VI: The Silent Movie; Part VII: Strike Strategy; Part VIII: The Riot Act; Part IX: Enter the AFL; Part X: The Final Chapter. This documentary was co-produced by David S. Cohen & Marty Goldensohn for the New Jersey Historical Commission and NJN Public Radio in April of 2006.